While we primarily conceive of nutrition in terms of energy production and support for building and repair processes, throughout history, many cultures have traditionally used plant foods and spices as a means for prevention and protection against disease. 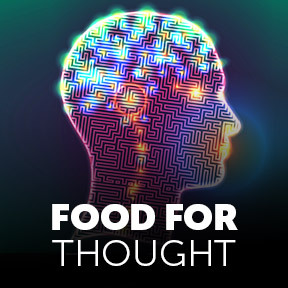 In modern times, the ability of dietary factors to influence brain health are only now beginning to be recognized. Over the last decade, research has provided evidence that dietary components may influence mechanisms and molecular systems that maintain mental function, more specifically synaptic plasticity. Synapses or junctions, where virtually all important brain activity emerges, effectively control neuronal communication. Plasticity is the ability of the brain to adapt to new information; synaptic plasticity is the brain’s ability to strengthen or weaken the synaptic function as a result of learning. For example, repeating song lyrics strengthens the related connections in the brain that make it possible to easily recall the words. A sharp mind and memory formation depend on the vitality of the brain’s network of interconnecting neurons. Research has established that synaptic activity, including synapse-specific modifications of synaptic strength, plays a vital role in learning and memory. The ability to learn and remember, as well as other mental and emotional processes, can be influenced by factors such as stress, lack of stimulation or neurotoxins that may cause synapse dysfunction. A balanced diet, adequate amounts of physical activity, proper sleep, and healthy environmental interaction appear to have the potential to alter brain heath and mental function. Nutrients that influence cognition act on the necessary cellular processes for the maintenance of brain health. Encouraging results of clinical and preclinical studies raise the possibility that dietary interventions may be a viable strategy for enhancing cognitive abilities, protecting the brain from damage, promoting repair, and counteracting the effects of aging. Adults of all ages looking to preserve brain heath and function throughout their lifespan, should consider following a healthy lifestyle to help protect and strengthen the synapses that keep minds active and alert. 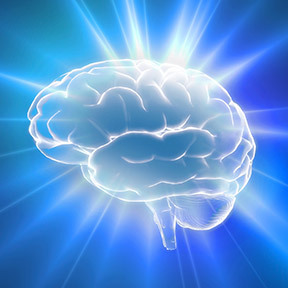 Lifestyle tips for healthy brain function include stress reduction and relaxation techniques, brain stimulation though demanding intellectual tasks, cardiovascular exercise to oxygenate the brain, adequate sleep, not smoking, taking alcohol in moderation and eating a nutritious diet that includes brain supportive nutrients. Per the National Institutes of Health (NIH), select nutrients have the capacity to affect neural pathways associated with synaptic plasticity that positively affects cognitive function. These dietary components have been identified as having effects on membrane fluidity, the regulation of neurotransmitter pathways, synaptic transmission and signal-transduction pathways. DHA Omega-3 essential fatty acids, specifically DHA, are normal constituents of cell membranes and are essential for normal brain function. Dietary consumption of omega-3 fatty acids is one of the best-studied correlations between food and brain evolution. As the human body is not efficient at synthesizing DHA, we are largely dependent on dietary sources, such as oily fish, shellfish and algae. Dietary deficiency of omega-3 fatty acids has been associated with increased risk of mental health disorders, including dementia and depression. DHA may enhance cognitive abilities by facilitating synaptic plasticity, or through its positive effects on metabolism, glucose utilization, and mitochondrial function. Turmeric/Curcumin – Studies suggest that curcumin has bioactive antioxidant, anti-inflammatory and neuro-protective effects. Population studies have shown that those who regularly consume curcuminoids as part of their traditional cuisine, such as in India and Asia, scored significantly better on cognitive function tests. Chronic low-grade inflammation plays a major role in many degenerative conditions. Curcumin’s strong anti-inflammatory properties may inhibit inflammation at the molecular level to help prevent or fight chronic inflammation. Curcumin may also boost levels of brain-derived neurotrophic factor (BDNF), which supports synaptic plasticity and cognitive function, as well as the survival of existing neurons and the differentiation of new neurons. Flavonoids – Flavonoids, phytochemicals found in a variety of fruits and vegetables, have been identified as promising bioactive compounds capable of influencing certain aspects of brain function, including cerebrovascular blood flow, and synaptic plasticity and strengthening. Dietary flavonoids are believed to have the potential to protect against neurotoxin damage, suppress neuroinflammation, and promote memory, learning and cognitive function. B vitamins – Per the NIH, B complex vitamins are absolutely essential for every aspect of brain function. These synergistic micronutrients work at a cellular level to support energy production, healthy mood and cognitive performance, as well as DNA/RNA synthesis and repair, and the synthesis of numerous neurochemicals and signaling molecules. CoQ10/Ubiquinol – Found in virtually all cell membranes, CoQ10 (ubiquinone) is a powerful antioxidant and a vital participant in oxygen utilization and cellular energy production. By aiding energy production and protecting organ cells from oxidative stress and free radical damage, CoQ10 supports the overall health of all bodily cells, organs and tissues. Animal studies have shown that oral administration of CoQ10 can exert neuroprotective effects that may prove useful in the future treatment of neurodegenerative disease. ProDHA 1000 mg Strawberry by Nordic Naturals®: This high potency formula offers research- backed benefits for brain, eye, and nervous system health, as well as emotional wellbeing. Sourced from purified deep sea fish oil. Natural strawberry flavor. Naturally preserved with rosemary extract and d-alpha tocopherol. Gluten free, no artificial ingredients, Non-GMO verified. Ubiquinol-QH 100 mg by Pure Encapsulations®: This product provides Kaneka QH™, a readily absorbable, active antioxidant form of CoQ10, in support of cellular energy production, cardiovascular health and free radical protection. Gluten free, hypoallergenic, Non-GMO formulation. Curcumin 500 with Bioperine by Pure Encapsulations®: This product supplies 500 mg of turmeric standardized to contain 95% curcuminoids in support of a healthy inflammatory response, cellular health, and healthy liver, colon and musculoskeletal function. Bioperine® is added for enhanced bioavailability and absorption. Gluten free, hypoallergenic, Non-GMO vegan formulation. FlavonAll by Douglas Laboratories®: This broad-spectrum flavonoid-based supplement delivers eight of the most concentrated and well-researched standardized plant extracts highly regarded for their beneficial antioxidant properties. Ingredients include Pycnogenol®, as well as grape seed, bilberry, and milk thistle extracts. Soy free, vegan formulation. Active B-Complex by Integrative Therapeutics®: This product provides the full complement of bioavailable B vitamins in support of numerous biochemical processes and overall healthy function. Gluten, wheat, dairy, soy and artificial ingredient free, vegetarian formulation. Along with concern over the ability to continue living independently, many seniors are apprehensive about maintaining mental acuity. Most individuals are aware that some degree of forgetfulness and cognitive decline is considered normal with aging. However, cognitive decline greater than what is expected for one’s age and educational level is indeed cause for apprehension, because with age we become increasingly susceptible to chronic and debilitating brain diseases. Although the normal process of brain atrophy occurs even in cognitively healthy persons, the atrophy occurs more rapidly in persons who have cognitive decline that progresses to Alzheimer’s disease. Growing research has demonstrated the beneficial impact of nutrition as a preventive strategy for reduced risk of cognitive decline and for maintenance of executive function. Executive function is defined as a set of mental skills that enables one to get things done, manage time, pay attention, switch focus, plan, organize, and multitask. Recognizing and reducing the factors that contribute to brain atrophy may be one strategy to slow the process of neurodegeneration. In older adults, research has underscored the potential impact of nutritional factors and individual micronutrients on the brain and cognitive function. Subclinical deficiencies commonly seen in the general population, and seniors in particular, include the B vitamins, folate, B12 and B6. Science shows that elevated blood levels of homocysteine is one factor that contributes to brain atrophy, as well as to atherosclerosis and cardiovascular disease. Homocysteine is a chemical byproduct of normal protein metabolism found to some degree in everyone’s bloodstream. When homocysteine levels are abnormally high, there’s an increased risk of cardiovascular disease, hardening of the arteries, isolated systolic hypertension, blood clots, and dementia, factors which may ultimately lead to heart attacks, strokes and Alzheimer’s disease. High homocysteine levels may be attributed to genetics, certain medications, kidney disease, and thyroid hormone insufficiency, as well as B vitamin and folate deficiencies. While it remains unclear whether high homocysteine levels are the cause or the effect of disease, elevated levels are recognized as being associated with brain atrophy, dementia, depression, and Alzheimer’s. Folic acid, vitamin B6 and vitamin B12 are all involved in the break down and conversion of homocysteine into methionine, a protein building block. Increasing intake of these vitamins may lower blood levels of homocysteine. Folate can be found green leafy vegetables, citrus fruits, most beans and fortified foods. Vitamin B12 is found naturally in animal products, seafood, fortified cereals and enriched soy or rice milks. Good sources of B6 include beans, poultry, dark leafy greens and some fruits. A daily multivitamin can help ensure adequate intake of these important vitamins. There is growing support for the premise that optimal B vitamin status may prevent, slow or even reverse deterioration in memory and other mental capacities important to quality of life in older individuals. Folate, B6 and B12 may function to preserve and protect the integrity of the central nervous system through its role in the prevention of vascular disease. In addition to the B vitamins, vitamins C and D are key to optimal brain health and function. Vitamin C is essential to the production of neurotransmitters that affect the ability to focus, concentrate, and remember. They also control mood, sleep, cravings, addictions, and more. As a cofactor necessary for serotonin, dopamine and norepinephrine production, vitamin C is essential for a positive mood. A potent antioxidant, vitamin C helps to protect the brain from oxidative stress and free radical damage. A meta-analysis of studies found that a diet rich in vitamins C and E was linked to a 20-25% decrease in Alzheimer’s risk. Vitamin C acts as a powerful detoxifier that helps to remove heavy metal accumulation from the brain. By helping to build collagen that keeps arteries flexible, vitamin C improves blood flow, delivering increased oxygen and nutrients to properly nourish the brain. Fruits and vegetables high in vitamin C include citrus fruits, berries and watermelon, tomatoes, bell peppers and cruciferous vegetables, especially when eaten raw. Vitamin D micronutrient deficiency has reached epic proportions, affecting an estimated 77% of Americans. Pre-hormone vitamin D is necessary for normal brain development in utero, as well as throughout childhood. Vitamin D receptors are wide spread in brain tissue, and biologically active Vitamin D has been shown to be neuroprotective, aiding the clearance of amyloid plaques seen in Alzheimer’s. Vitamin D activates and deactivates enzymes in the brain and cerebrospinal fluid involved in neurotransmitter synthesis and nerve growth. Studies suggest that vitamin D protects neurons and reduces damaging inflammation. A study led by neuroscientist David Llewellyn of the University of Cambridge assessed the correlation between vitamin D levels and cognitive function in 1,700 men and women aged 65 and older. Those deficient in vitamin D exhibited slower information-processing speed, and were up to four times more likely to be cognitively impaired as compared with people with optimum vitamin D levels. Research shows it may be difficult to get sufficient vitamin D from dietary sources alone. Those who are not getting 15-30 minutes of sunshine on their torso a minimum of three times a week, would be well advised to supplement with vitamin D for brain health and overall wellness. Omega-3 essential fatty acids are vital for the maintenance of normal brain development and function throughout life. Low levels of omega-3’s may accelerate brain aging and contribute to deficits in brain function. Fish oil is found to be effective in reducing inflammation in the blood and tissues. Promising studies suggest that fish oil may help relieve mental fatigue and stress and may help women to reduce the risk of developing depression. Research suggests that those with mild cognitive impairment or mild declines in brain function may benefit the most from fish oil supplementation. The Alzheimer’s Association recommends omega-3 fatty acids as a possible defense against Alzheimer’s Disease and dementia. Pro Methyl Balance by Professional Supplement Center®: On SALE! Pro Methyl Balance is formulated to provide high levels of highly active and bioavailable forms of folate and vitamin B12 in support of homocysteine management, neurological function, and a healthy inflammatory response. Gluten free, Non-GMO vegetarian formulation. Homocysteine Factors by Pure Encapsulations®: This hypoallergenic formula provides the highly bioavailable folate Metafolin®, activated vitamin B6, anhydrous betaine, and vitamin B12 as methylcobalamin, in support of healthy homocysteine metabolism. Non-GMO vegetarian formulation. B Complex with Metafolin® by Douglas Laboratories®: This comprehensive B vitamin supplement provides highly bioavailable B vitamins plus intrinsic factor, a nutrient necessary for optimal B12 absorption. Gluten, soy, dairy, yeast and artificial ingredient free, Non-GMO vegetarian formulation. Vitamin D3 5,000 IU by Professional Supplement Center®: On SALE! This product supplies highly bioavailable vitamin D3 in support of proper nervous system function, healthy cardiovascular function and a normal immune response. Gluten free, Non-GMO formulation. ProDHA™ 1000 mg by Nordic Naturals®: On SALE! This high potency formula provides an essential nutrient for brain health, healthy mood, cognitive function, and the structural integrity of the central nervous system. Third party tested for heavy metals and toxins. Gluten, dairy and artificial ingredient free, Non-GMO formulation. Buffered Vitamin C by Integrative Therapeutics®: One serving supplies one gram of vitamin C buffered with magnesium and calcium in support of healthy skin, collagen production, and connective tissue and bone health. Gluten, wheat, dairy, soy, yeast, and artificial ingredient free, vegetarian formulation. Vitamin E with Mixed Tocopherols by Pure Encapsulations®: This powerful antioxidant supplement plays a beneficial role in cellular respiration, mitochondrial function, blood vessel health and protein metabolism. Artificial ingredient free, Non-GMO formulation. Bruno, Gene, MS, MHS, Rh. B Vitamins and Cognition, Vitamin Retailer, Dec. 2017. Posted on August 9, 2017 | Comments Off on Got Fatigue? Often linked to lifestyle, stress, modern technology, and medical conditions, tiredness is one the most common health problems we face today. 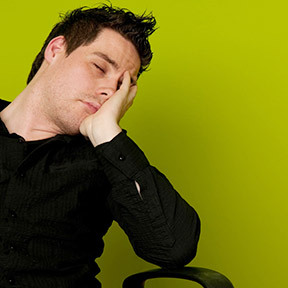 Normal sleepiness occurs at regular intervals following a circadian rhythm that signals the onset of sleep. Abnormal sleepiness, associated with the inability to stay awake at inappropriate times, is a complex physical, physiological or psychological issue that can be exacerbated by disrupted sleep, illness, and current societal pressures. While tiredness is often used to describe both sleepiness and fatigue, they are two separate and distinct conditions, and your health depends on recognizing the difference. Fatigue is defined as a sustained and overwhelming sense of exhaustion, and decreased capacity to function at the usual level. Although chronic fatigue is not normally accompanied by excessive daytime sleepiness, fatigue needs to be taken seriously, as it’s an indication that your body is unable to keep up. While exercise is recommended to help those who are tired, it can exacerbate chronic fatigue, which requires rest, in addition to sleep. Certain medications and medical conditions, including anemia, diabetes, obesity, adrenal fatigue, thyroid dysfunction, and more, can all deplete energy stores. Anxiety, depression, and insomnia are certainly aggravating factors. Add in lifestyle behaviors such as too much alcohol and caffeine consumption; as well as excessive or non-existent exercise, insufficient relaxation time, poor quality sleep, and our 24/7 seemingly sleepless world; and we have a recipe, not only for weariness, but for reduced quality of life. Good nutrition is often overlooked as a defining factor for poor energy stores. Caffeine and energy drinks may provide a short-term energy boost. However, it’s proper nutrition and a balanced diet that supplies the daily energy reserves to support bodily function, physical, emotional, and psychological health, and overall wellbeing. Eating smaller, more frequent meals helps to fuel a healthy metabolism and prevent unwise snacking. As the brain has limited energy reserves, providing a steady supply of healthy nutrients supports focus and cognitive function. In addition to smaller meals, healthy snacks help bridge the gap until the next meal. A handful of nuts, unflavored yogurt, or a piece of fruit may be all you need to ward off sluggishness. Caffeine is a useful stimulant that can increase alertness. However, to take advantage of its energizing effects caffeine should be used wisely. Too much caffeine can result in insomnia, especially for the caffeine-sensitive or when consumed late in the day or evening. Hydrating with water or unsweetened tea is often all it takes to keep your energy levels constant. One of the first signs of dehydration is fatigue, so drink up throughout the day and especially before, during and after exercise. The amount of alcohol consumed determines the effects. One glass of wine or beer has a stimulant effect, but when more is consumed it acts as a depressant, slowing vital functions. These sedative effects that may help one fall asleep faster. However, alcohol disrupts sleep homeostasis and can impair sleep function, resulting in insomnia. Ease up on sugar consumption. Sugar will cause blood sugar to spike and then crash, causing energy levels to plummet. Sweet cravings signal low blood sugar. An apple with almond butter or a handful of almonds may be all that’s needed to stabilize blood sugar levels. B vitamins: Your body needs carbohydrates, fats, and proteins from foods for energy. Often referred to as energy nutrients, all B-complex vitamins aid the natural processes your body uses to convert dietary carbohydrates and fats into fuel or glucose. Your body needs B vitamins to convert dietary energy into ATP, which transports chemical energy within the cells for metabolism. Magnesium: Magnesium plays a critical role in cellular energy metabolism. In fact, all enzymes that utilize or synthesize ATP require magnesium. ATP, which provides the energy for most metabolic processes, exists primarily as a complex with magnesium. Iron: Fatigue is the first symptom of iron deficiency, which the World Health Organization (WHO) defines as the number one nutritional disorder worldwide. Although low levels of iron can affect men and women of all ages, it often occurs in premenopausal women. Iron supplementation should only be taken under the advisement of a healthcare practitioner. L-theanine: Believed to increase alertness and improve memory, L-theanine helps to boost energy levels, decrease stress and anxiety, and boost T cell production, which can be a low in those with chronic fatigue syndrome. Omega-3 fatty acids: The body requires healthy fats for proper growth and development, as well as normal brain function. Deficiency in omega-3’s can result in low energy, memory issues, depression and a weakened immune system. Above all, to support energy levels and fight tiredness, work towards getting regular adequate sleep, include energy boosting foods such as spinach, nuts, yogurt and fatty fish, avoid dehydration by drinking adequate amounts of water, and get twenty to thirty minutes of exercise daily. B Complex with Metafolin® by Douglas Laboratories: This comprehensive B vitamin complex provides all the essential B vitamins, as well as intrinsic factor, a nutrient necessary for optimal B 12 absorption. Gluten, soy, yeast, dairy, artificial ingredient free, Non-GMO formulation. End Fatigue™ Daily Energy B Complex by Integrative Therapeutics®: This ultimate blend of B vitamins provides high level support for all day energy, and healthy blood, brain and nerve cell function. End Fatigue™ is especially helpful when under stress or to maintain mental alertness when fatigued. Gluten, soy, dairy, wheat, yeast and artificial ingredient free, vegan formulation. Mag Complete by Complementary Prescriptions: This key formulation blends four forms of magnesium for optimal absorption and utilization in support of energy production and the maintenance of healthy nerve and muscle function. L-Theanine 100 mg by Integrative Therapeutics®: This naturally calming amino acid helps to reduce stress and promote a restful, relaxed state without diminishing daytime alertness. L-theanine has no significant side effects. Gluten, dairy, wheat, yeast and artificial ingredient free, vegan formulation. NeuroNutrients™ with Iron by Neurobiologix: This complete bioavailable vitamin and mineral formulation provides high quality, balanced proprietary nutrients to support cellular energy production, and good physical and neurological health. Comments Off on Got Fatigue?